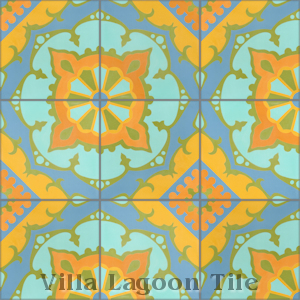 These are four 8" cement tiles using colors from the South Beach Palette. 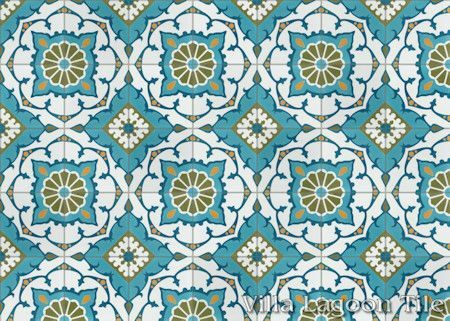 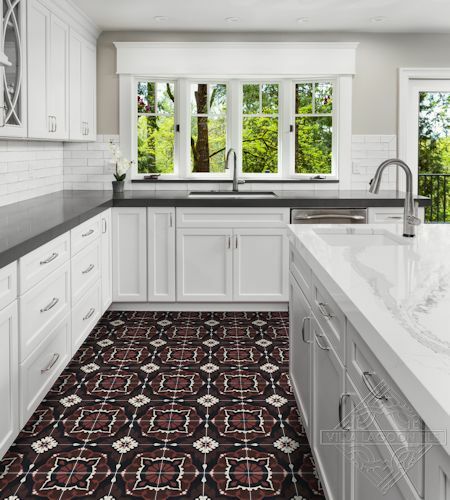 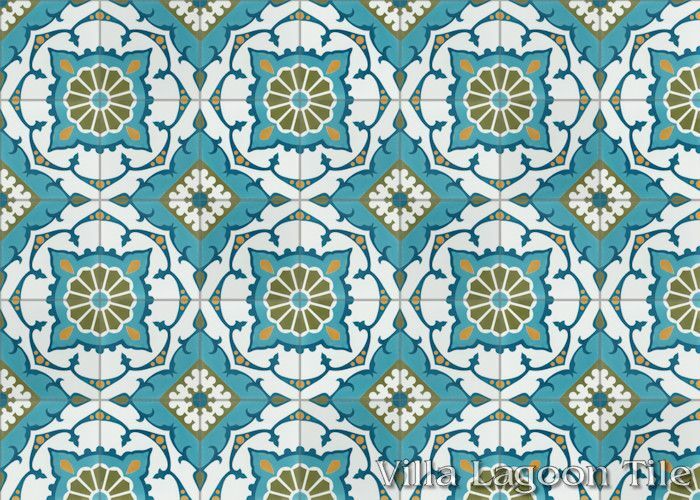 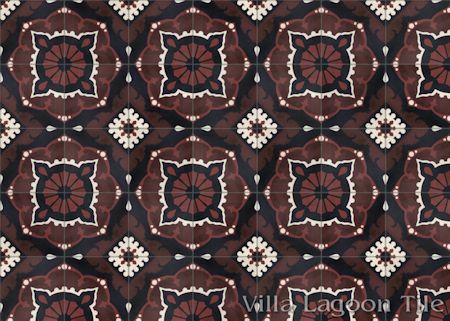 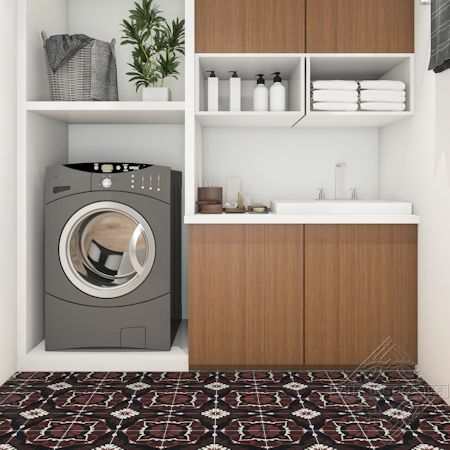 Our "Amalena" cement tile pattern is an original design inspired by the classic Cuban tile style. 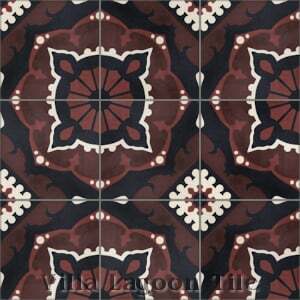 Floral layers radiate from one corner, meeting geometric elements from the opposite corner. 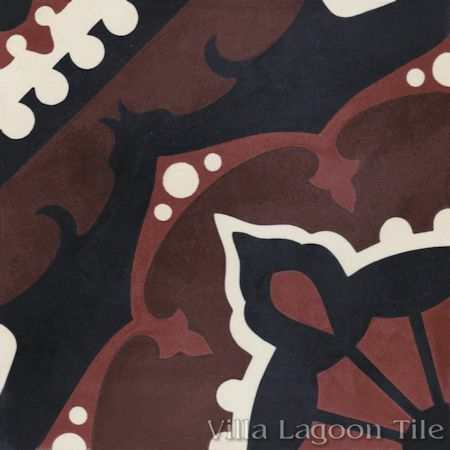 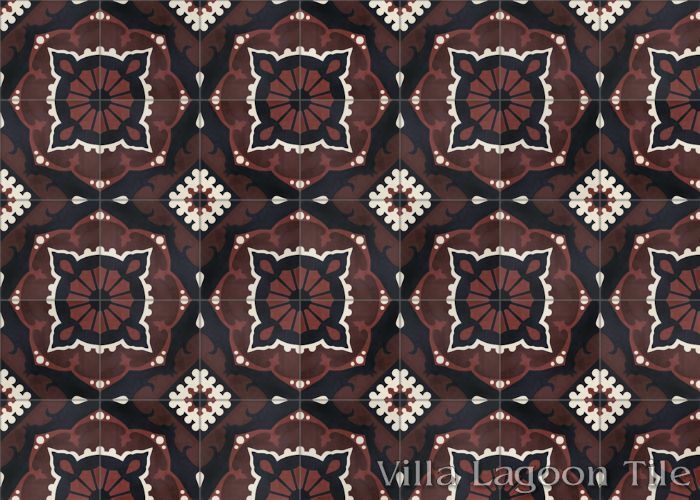 Villa Lagoon Tile's "Amalena" cement tile pattern using Alabaster, Black, Eagle Brown, and Burnt Umber from the South Beach Palette. 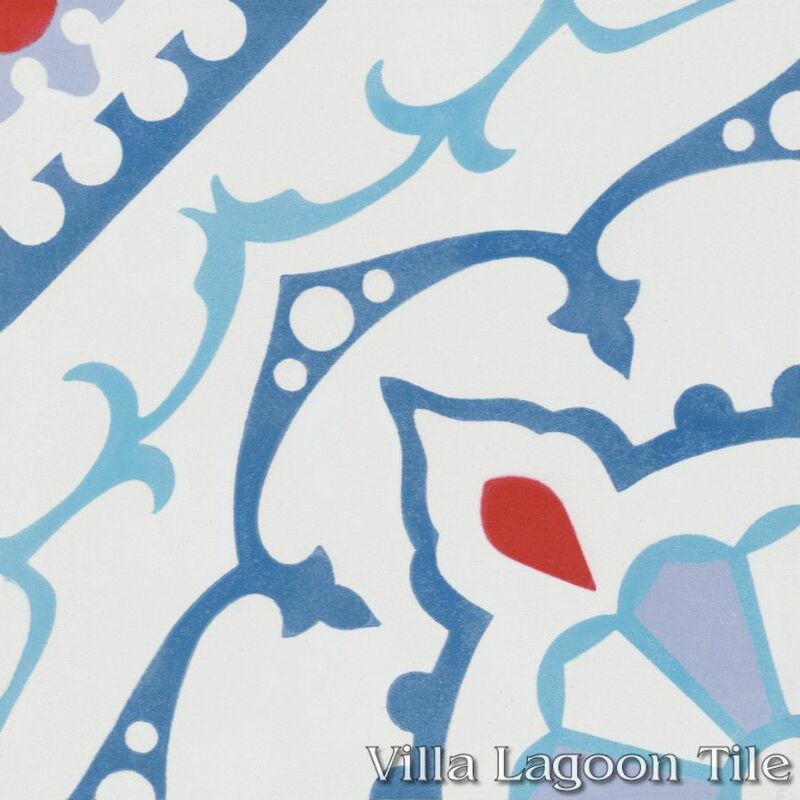 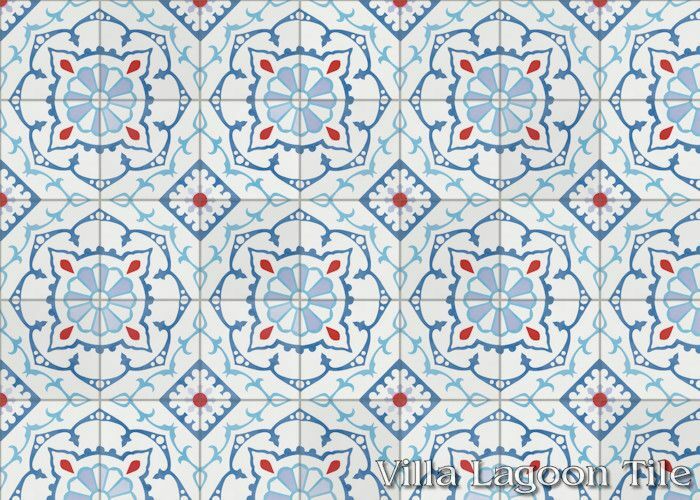 Villa Lagoon Tile's "Amalena" cement tile pattern using White, Miami Blue, Cherry Red (Premium Color), Royal Blue, and a Custom Purple from the South Beach Palette. 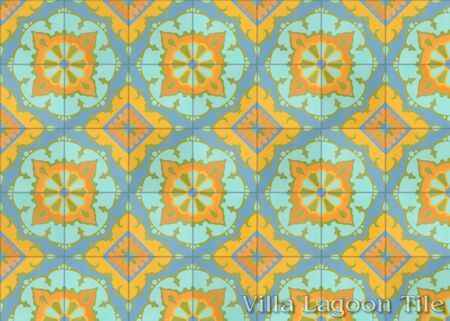 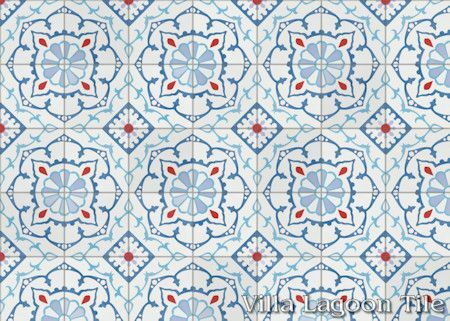 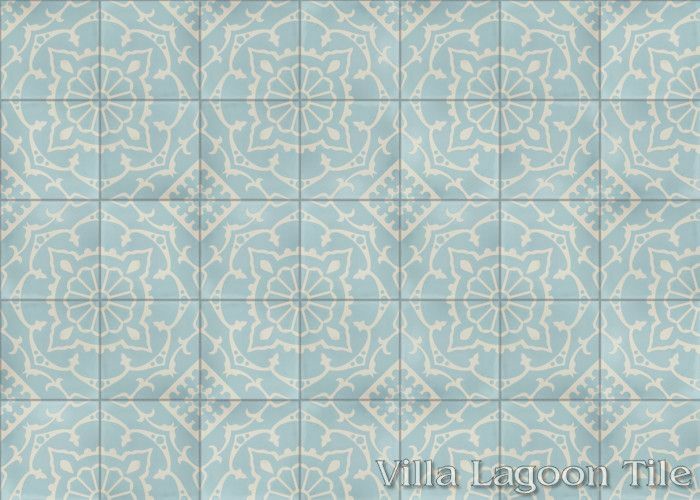 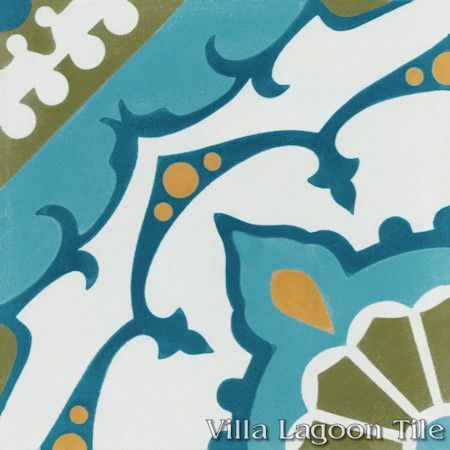 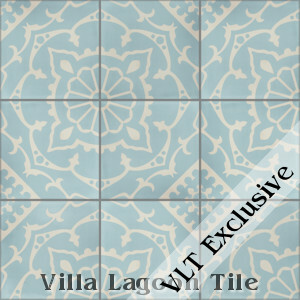 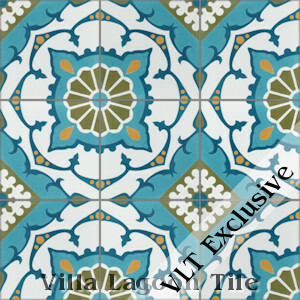 Villa Lagoon Tile's "Amalena" cement tile pattern using White, Picholine, Bimini, Channel Blue, and Maple Sugar from the South Beach Palette. 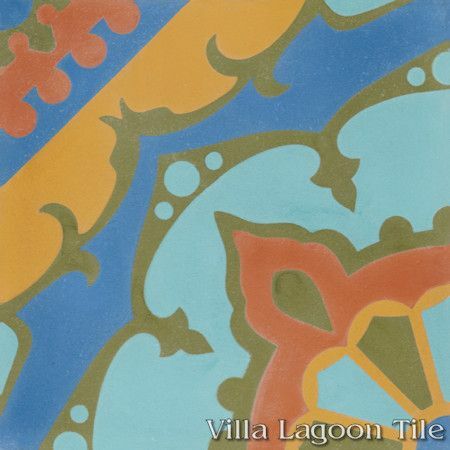 Villa Lagoon Tile's "Amalena" cement tile pattern using Picholine, Seaside Blue, Smoked Pumpkin, Maple Sugar, and Royal Blue from the South Beach Palette. 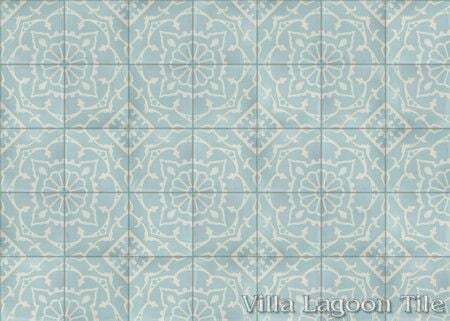 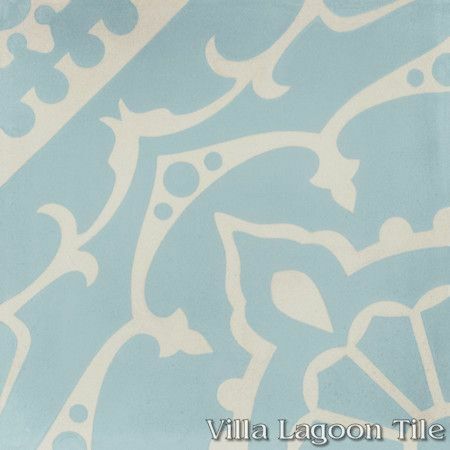 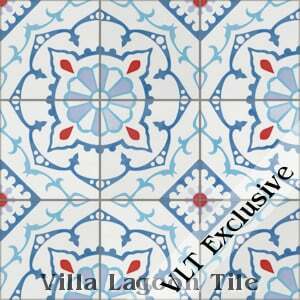 Villa Lagoon Tile's "Amalena" cement tile pattern using Seashell White and Velvet Sky from the South Beach Palette.